The Ludwig family (no relation, as far as I know) emigrated from Germany to Chicago in 1897, moving into a small home on the west side. The father was a professional musician who played trombone and baritone saxophone. At the age of eight, his son William F. Ludwig Jr. watched a neighborhood parade headed by the drum corps of the First Regiment Illinois National Guard. William Jr. would recall later: “The corps made an impression that decided my future then and there!” Good-bye, violin lessons. William Jr. eventually did become a professional drummer, playing with circuses and touring vaudeville shows, along with the occasional skating-rink gig. But work was irregular, so in 1909 William and his brother, Theobald, opened a drum shop in Chicago; they called it Ludwig & Ludwig. The business started to prosper in the 1920s. Located then at 1611 N. Lincoln, the shop became a key source in providing drums for silent movie orchestras. By 1923 the Ludwig factory employed 240 workers; it was the largest drum manufacturer in the world. Then the Depression hit. Ludwig & Ludwig was sold and the business was moved to Elkhart, Indiana. But in 1937, at the age of 58, William decided to get back in the game. He bought a factory building at 1728 N. Damen and named the new firm the Wm. F. Ludwig Drum Company. (Theobald had died in 1918, at age 29.) Production was low during wartime, but after the armistice, William got back to the task of rebuilding the business, adding 15,000 square feet to the factory and putting out the company’s largest catalog yet. Back in the early 1960’s we used to watch the Ed Sullivan Show every Sunday night—that was standard fare. Once in February of 1964 the Beatles appeared, and I sat up and studied what I was looking at. I thought at first it was a comedy act, they appeared so different—their sound and appearance was strange to me. But there I saw my name on the bass drum head! It was unusual! My father commented on it, as did my mother. Well, several months after that incident, a fellow that had been selling our products in England named Ivor Arbiter visited our offices during a trade show. He had a portfolio of pictures of rock groups that were using Ludwig drums, and he felt we should advertise these groups. One of the groups was the Beatles. I stopped at that picture and asked why he put our name on the front of his bass drum head. Arbiter said that he was so proud that he had an imported drum set from America, especially from a famous company like Ludwig, that at the time of purchase he insisted on having the Ludwig name painted on the front of the head! I asked him how that came about and he told me that one day Ringo came in before the was famous and said he was the drummer with a group called the Beatles which many had started to hear of as a Liverpool group that was playing in a place called the Cavern. Abriter had heard that they’d gone to Hamburg as a back-up group. 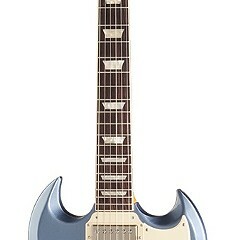 Well, Ringo said he had hit it big and was looking for a new set. 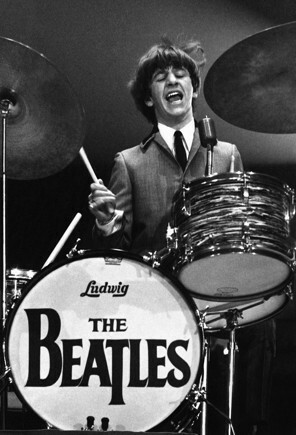 Ringo was initially interested in a Premier set, but the salesman named Dave Martin had been instructed to push Ludwig, as they had just gotten a franchise for all of England and Ireland. Dave pointed out the Ludwig set in the window, which surprised Ringo. . . . Ringo bought the Ludwig set under the condition that the name “Ludwig” be put on the front of the bass drum head. Martin said he’d do it, but asked why, and Ringo said he wanted everyone to know he had Ludwig. So at the convention of that year, after we’d seen our name on Ringo’s bass drum head, Arbiter said he wanted the name on all the bass drums in his next order. I told him we couldn’t do that, as we weren’t geared up for such a demand, and besides, it seemed ostentatious! He said he wouldn’t give us the order without the name, and that he would pay for the decals himself. So, we ordered the decals and started putting them on the sets for England. From then on, we got orders from all over with requests for the name on the front of the bass drum head. When the Beatles came to Chicago in 1964 they were scheduled to play one concert only at the Amphitheater on Chicago’s south side, which held 40,000 people. . . .
As we approached the location I was amazed at the people trudging through the winter weather towards the theater carrying signs bearing slogans of their enthusiasm for the Beatles. I couldn’t believe it! . . . Afterwards we were told we could stand with the Beatles to have our picture taken. The Beatles were nicely dressed and very pleasant young fellows. . . . When we were all lined-up I said to Ringo, “We made up this special gold-plated drum for you in the honor of this occasion,” He said, “Oh, that’s nice.” He held the drum and they took the pictures, and I introduced him to my daughter who was sixteen at the time and absolutely astounded by the event. But I’m not really certain if it really hit home with him who I was and what it was all about, because the policeman took the drum away after the photo, and the last I saw of it he had the drum under his arm walking through a door following the Beatles. I rather imagine it got lost in the shuffle. We didn’t even get to the concert as we’d only had tickets to the press-conference and not the performance. We were ushered out of the press-conference and went home, it was a terrible let-down. I never pursued it because he was already so famous, I doubt he cared about what the manufacturers of his drums cared about, but he still insisted on using Ludwig drums with the name on the front of the head, and he always did. In 1981 William III sold the business to the Selmer Company. Selmer closed the Damen Avenue factory in the ensuing years and moved production to North Carolina. The Damen Avenue factory today? Condos. Here's a trailer for the 2009 documentary Ludwig Drum Co.: A Century of the Most Famous Name on Drums. Recommended reading: History of the Ludwig Drum Factory by Paul William Schmidt (available at the Chicago Public Library) and The Making of a Drum Company: The Autobiography of William F. Ludwig (Rebeats Press).